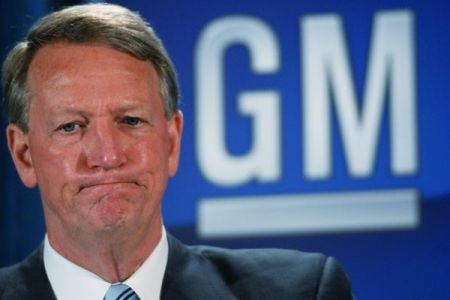 General Motors, which very publicly yanked its $10 million in advertising from Facebook a few days before that company’s IPO in May, is in talks to return as an advertiser, according to reports. Facebook COO Sheryl Sandberg recently met with GM CEO Dan Akerson to discuss returning, according to Bloomberg. Joel Ewanick, GM’s global marketing chief, also met with Carolyn Everson, Facebook’s global sales head, during the Cannes Lions International Advertising Festival last month, according to The Wall Street Journal. Everson told Ewanick that Facebook was willing to provide GM with better ROI metrics, according to the report, though GM would not receive special treatment. GM, however, hasn’t committed to returning, but is in talks with Facebook reps at this time. Reps from Facebook and GM could not be reached for comment. If GM returns, it will be seen as a vote of confidence for Facebook. After going public in May with an opening price of $38, Facebook’s stock dipped below $30, trading on Tuesday at around $31. The reason for the lackluster performance may be Facebook’s uncertain path to profitability on mobile. Though the company began rolling out mobile ads last month with apparent success, the format is untested. Facebook has also admitted in a filing with the Securities and Exchange Commission that the company might lose significant revenues as more users access the network from mobile devices. The SEC has also probed Facebook for more information on that topic. Compared to mobile, the exit of GM was a sideshow. Talk of reconciliation didn’t have a significant effect on Facebook’s stock price on Tuesday. Perhaps that’s because no other major advertisers followed GM’s lead. In fact, Ford has been a stalwart defender of Facebook as an ad platform. Nevertheless, bringing GM back would be a coup for Facebook, which has sought to convey with new ad formats and metrics that it has a handle on marketing ROI.